The offers are valid for participating merchandise. List of participating merchandise is available at retail points. The purchases of liquor and tobacco are invalid for the offers. The offers are invalid for use in conjunction with Birthday Celebration Privileges, money balance on membership card, cash card, gift card, gift voucher, cash voucher and any other discount coupons. Exception is made for money balance transferred to membership card as a reward for new members. 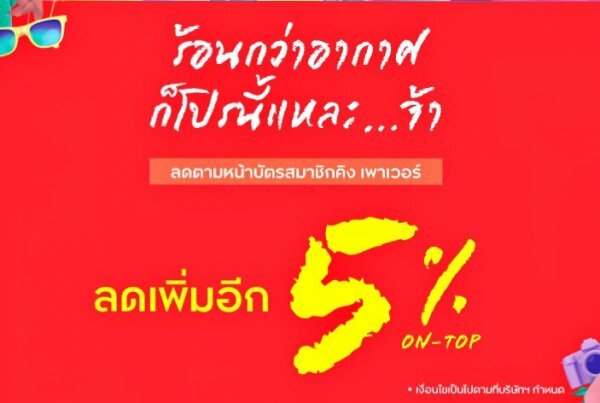 The offers are valid for purchases made on 0% interest rate intalment plan. 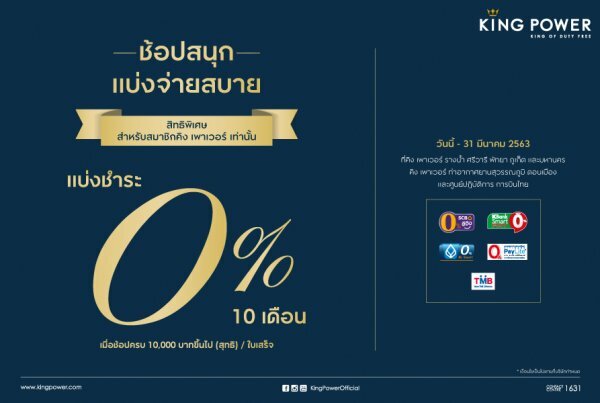 The offers are valid for King Power’s co-branded credit cards issued by SCB and KBank. 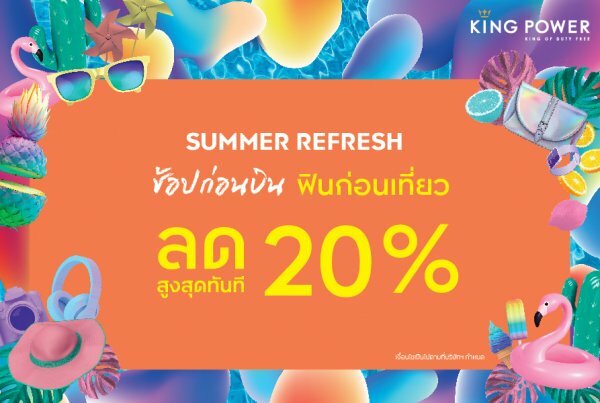 1,000 Baht discount coupon is valid for use in conjunction with King Power membership card. 2,000 Baht discount coupon is valid for 4,000 Baht purchase or more/receipt and invalid for use in conjunction with member discount. The previously mentioned discount coupons are valid for making purchases at King Power Rangnam, Srivaree, Pattaya, Phuket and Mahanakhon and are valid for use within the issuance date only.